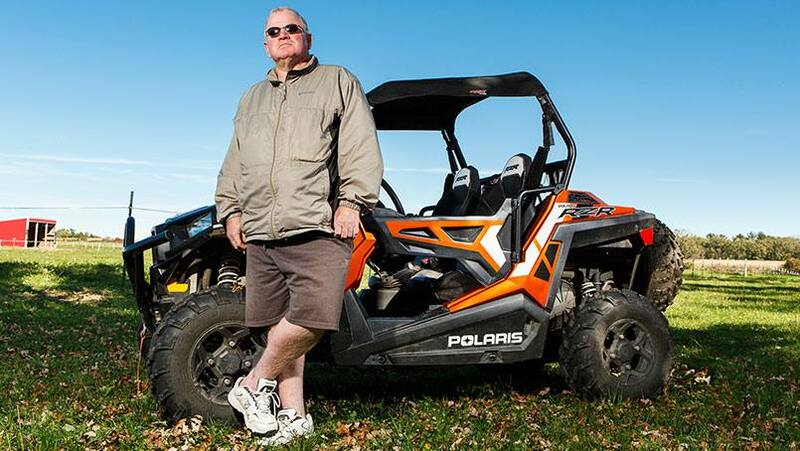 David Edming, of Rice Lake, Wisconsin, didn’t want to slow down when he retired. 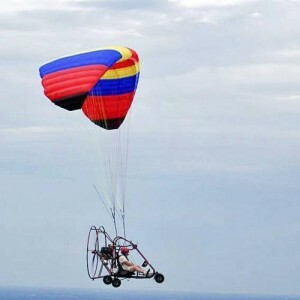 The U.S. Navy veteran, age 56, took up aviation and purchased a powered parachute ultralight aircraft — a three-wheeled machine with a propeller that ascends when wind fills an attached parachute. “The thing with a powered parachute is you only fly in perfect weather,” David says. He found that perfect weather on July 2, 2013 -- a beautiful day with no wind -- and he took off from his hay field to pass by a local golf course, just as he had done many times. After his flyby, he tried to increase altitude while making a turn, which was standard procedure. But this time, something went wrong. Although the wing should have caught the wind, it instead curled under, sending him into a nosedive. He tried to control the parachute as he dropped at a 45-degree angle. “I knew what I needed to do, but it wasn’t working,” he says. “I tried whatever I could think of.” Unfortunately, nothing worked. Then he told them to call his wife, Tammy. He has no memory of what happened from moment until a month and a half later. Fernando Serna Jr., M.D., an orthopedic surgeon, recalls that David was brought to Mayo Clinic Health System in Eau Claire, Wisconsin, with multiple injuries to his left arm, thigh, ankle and foot, including open injuries with associated nerve damage. But the most life-threatening injury was his broken pelvis. David was initially placed in an induced coma, so surgeons could perform immediate repairs. Despite severe life-threatening and limb-threatening injuries, David has recovered well, according to Dr. Serna. “I think everybody involved has been very surprised and encouraged that he is doing as well as he is,” he says. Learn more about Mayo Clinic Health System in Eau Claire. Explore the Department of Orthopedic Surgery at Mayo Clinic.